Published quarterly, Banking Matters is the premier publication of the Oregon Bankers Association and Independent Community Banks of Oregon. Login or create an account to subscribe to Banking Matters. This biennial publication tells the very real, day-to-day story of how Oregon bankers use their resources, expertise and philanthropic spirit to improve and give back to the places where they live and work. 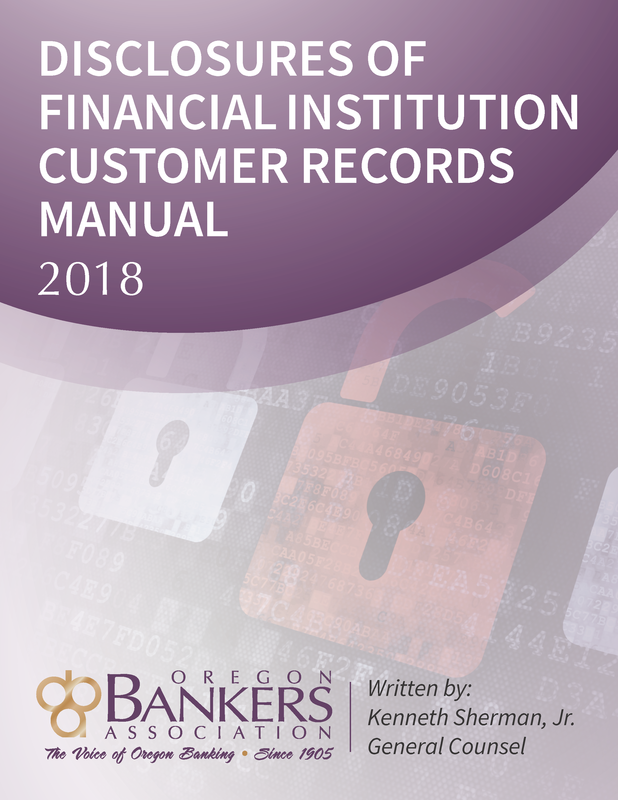 The report combines data collected from an OBA survey of Oregon banks with information mined from reports banks file with regulatory and government agencies. 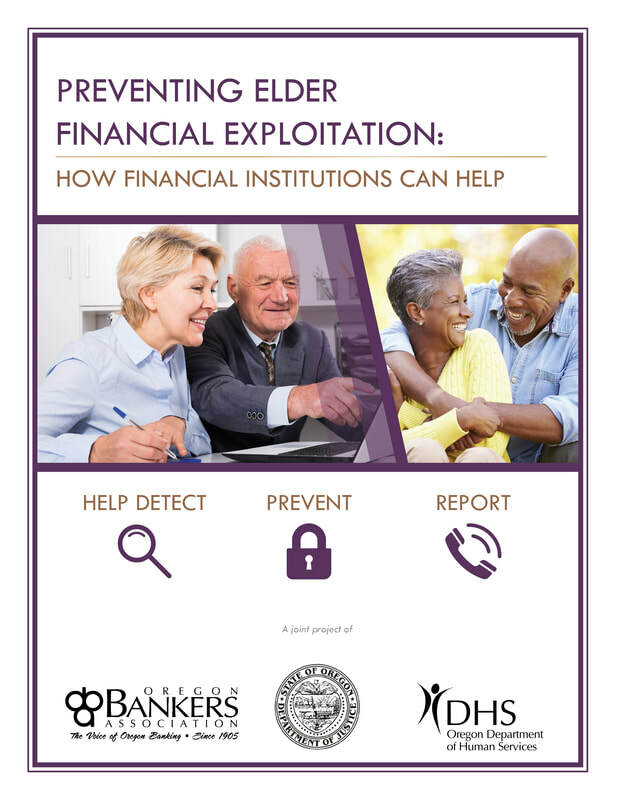 Updated in 2018, this toolkit kit includes a training manual and a DVD with information for bank personnel about how to recognize and report possible elder financial exploitation. The DVD contains scenarios in bank settings based on actual events experienced by OBA members. Click here for more information and to download the free toolkit materials. 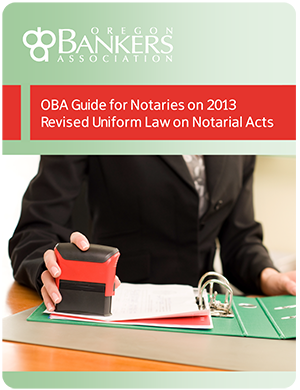 Prepared by OBA General Counsel Kenneth Sherman, Jr., the OBA Guide for Notaries on 2013 Oregon Revised Uniform Law on Notarial Acts was drafted in response to member requests. The purpose of this publication is to identify and discuss the provisions of the Revised Uniform Law on Notarial Acts which was enacted by the 2013 Oregon Legislature. This law made conforming amendments to existing Oregon laws and had significant impacts on notaries working in Oregon financial institutions. This document is complimentary for OBA members and available to non-members for $149. It was released in March 2014. ​​Oregon garnishment law continues to evolve over time. Each session of the Oregon Legislature sees the enactment of at least one or two new measures that modify the garnishment rules. The 2018 edition of the OBA Garnishment Manual, last published in 2013, has recently been updated to include changes resulting from new garnishment legislation on both the state and federal levels. It is designed to provide general information and guidance on the subject of garnishments and IRS levies. Stay up-to-date on current laws and purchase the 2018 edition of the OBA Garnishment Manual today by clicking here. ​Prepared by OBA General Counsel Kenneth Sherman, Jr., the OBA Disclosure of Financial Institution Customer Records manual was created in response to the many questions received from OBA members regarding privacy issues. Updated and expanded in 2018, it offers a detailed look at the bank’s responsibilities and limitations, as well as the procedures surrounding the disclosure of customer records. Stay up-to-date and purchase the 2018 edition of the Disclosures of Financial Customer Records today by clicking here. 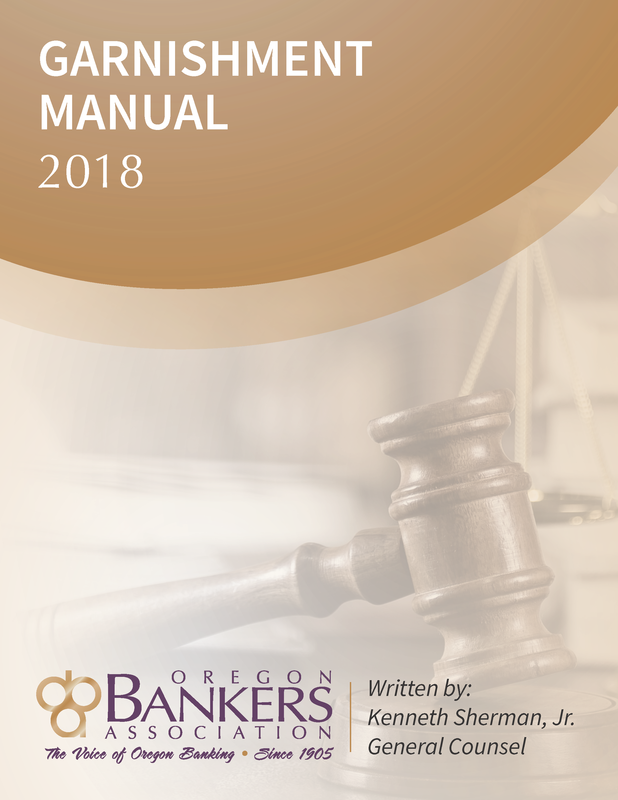 Please contact the OBA office at (503) 581-3522 or email Jennifer Schubert at jschubert@oregonbankers.com for information on these manuals. The Oregon Bankers Association endorses the Northwest Financial Industry Compensation Survey, produced by Milliman. Click here to visit the Milliman website and learn more about the survey. Members: to subscribe to an OBA e-newsletter, login to your account and select "Stay Informed" to manage your subscription preferences.